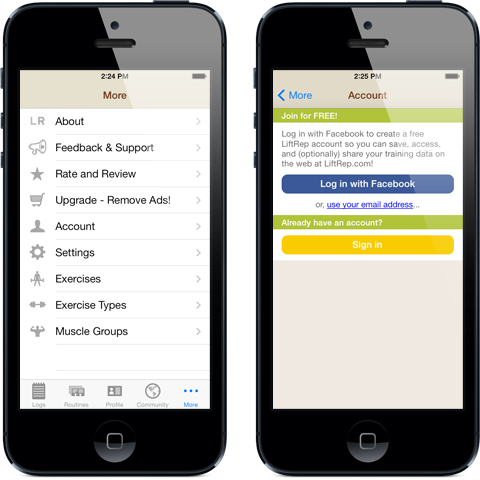 LiftRep web access is provided free to registered users of LiftRep for iOS. From the More menu, select Account to create your free LiftRep account. Download LiftRep for iOS now from the App Store!